I had a rootless, feckless childhood and grew up fit for nothing (except reading historical novels). By some stroke of luck/gift of grace/absolute miracle (you choose) the points on my track were thrown and my direction changed. Part of the story is that I went from being unemployed to working in a publishing house, looking after a picture researcher and, in time, I became a picture researcher. It was the most wonderful job. The task, which I chose each time to accept, was to illustrate text with pictures, whether for magazine articles or TV programmes, but most often it was for books. I’d spend about six months on one subject becoming an expert in its imagery. It was a difficult job requiring much skill ranging from ‘having an eye’ to being able to do paperwork. The latter was the greater part. It might take me five minutes to find the right picture, but fifty-five to obtain a transparency or print and clear the copyright. Stephen Poliakoff’s Shooting the Past was a romantic view of the world of the picture library. In real life those characters would have been on the phone haggling deals with picture researchers. We always had to haggle deals, because the cost of publishing a picture was ridiculously expensive. We knew on every project that we’d have to get libraries to discount their charges by about nine tenths. The ones who would never budge were the museums and institutions. We used them as rarely as possible but they were canny; after a wobbly start after the invention of photography they soon forbade anyone to take pictures in their galleries (‘it will fade the objects’) and they got around the copyright law (which vanishes 70 years after the death of the ‘author’) by saying the author was the photographer not the painter of the scene photographed (the law concurred). So museums and institutions creamed it in, and I never felt obliged to put any money in their begging bowls. Yesterday things changed. Yesterday Yale University made its images available free. I don’t understand this new world economic model but in this instance I’m not complaining. I went straight to the site to see what goodies I could find. I’d hoped for something equivalent to the shop windows in Bond Street but it’s more like a library where you have to know what you want and fill out a form for it. So I browsed a little in the fifteenth century and the very first image that came up was of a character in my third novel, The Rebirth of Venus. Fra Mariano was a preacher and a Platonist. His quick, able mind secured the patronage of Lorenzo de’ Medici; the quality of his philosophical sermons attracted great minds of the time such as Pico della Mirandola and Angelo Poliziano. He was the thinking man’s preacher. But he was no match for the fundamentalist opinions of Savonarola, who accused him of sophistry and arranged for an ignominious end to his career. 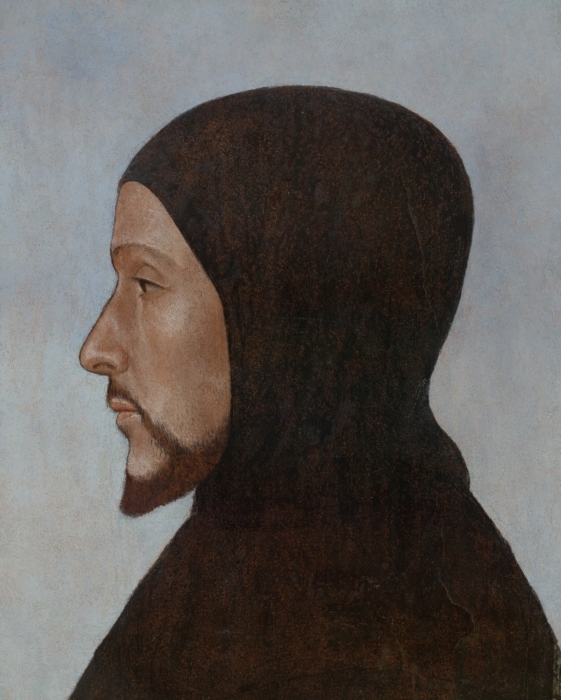 My first thought on seeing the image was ‘Fake!’ No one of the period wore a trimmed beard like that; by the time such beards were fashionable, portraits in profile were long since past. But no doubt greater minds than mine have examined the painting and found it genuine. Certainly it is beautifully painted and the face itself has the Botticelli touch. If I were still writing that novel, I’d definitely use this as a genuine portrait because the fineness of the features adds greatly to the character. Does anyone else know of free resources in the realm of art and history? 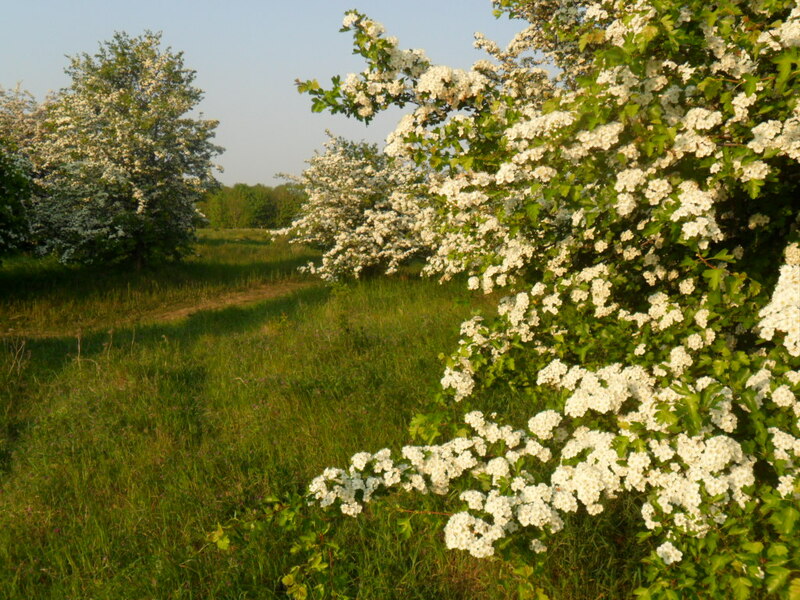 OK, we have May Day every year, but there’s something special about this one: a crescendo of cosmic events beginning with the supermoon back in March and ending this morning in an explosion of hawthorn and silliness. 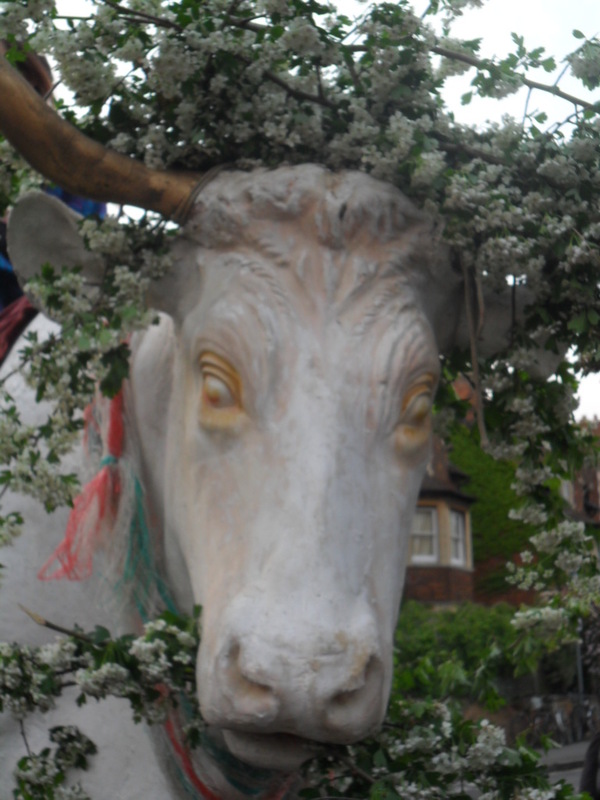 In Oxford we celebrate May Day on the first of the month, irrespective of official bank holidays, but this year (as last), it falls on a weekend and, most unusually, the weather is fine. 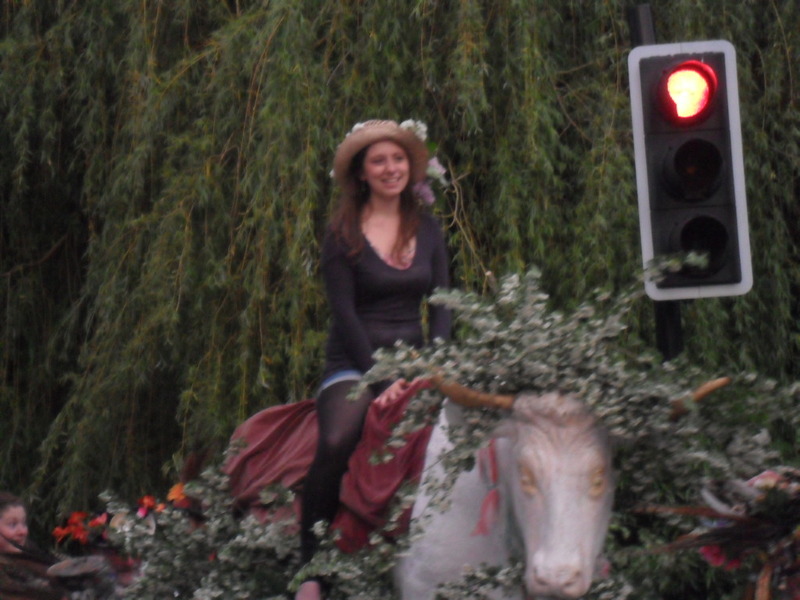 While students risk life and definitely limb flinging themselves off Magdalen Bridge into the shallow Cherwell, and the centre of Oxford heaves with thousands of people who have either been up all night or at least since before dawn, their tutors gather at the Anchor inn opposite Aristotle Lane. 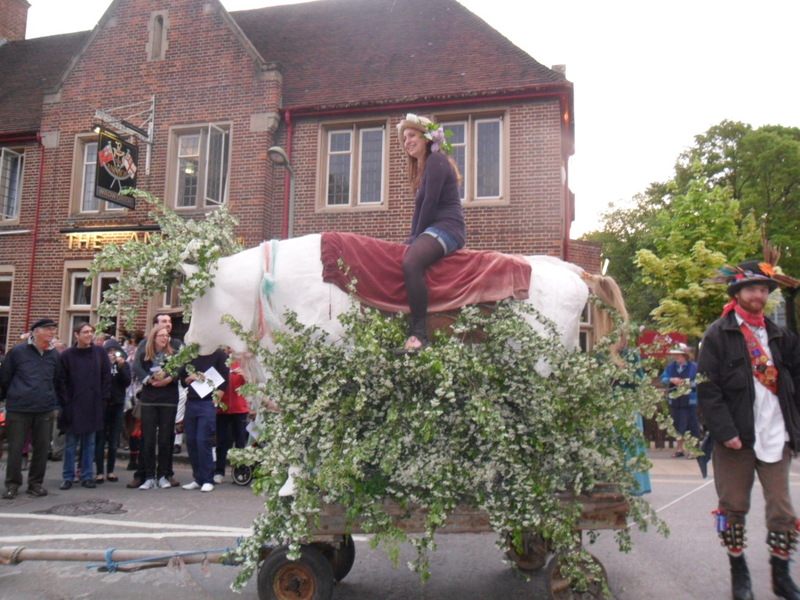 At 6am, the Wolvercote bull appears over the bridge, ridden by the May Queen. Roll over Duchess of Cambridge. 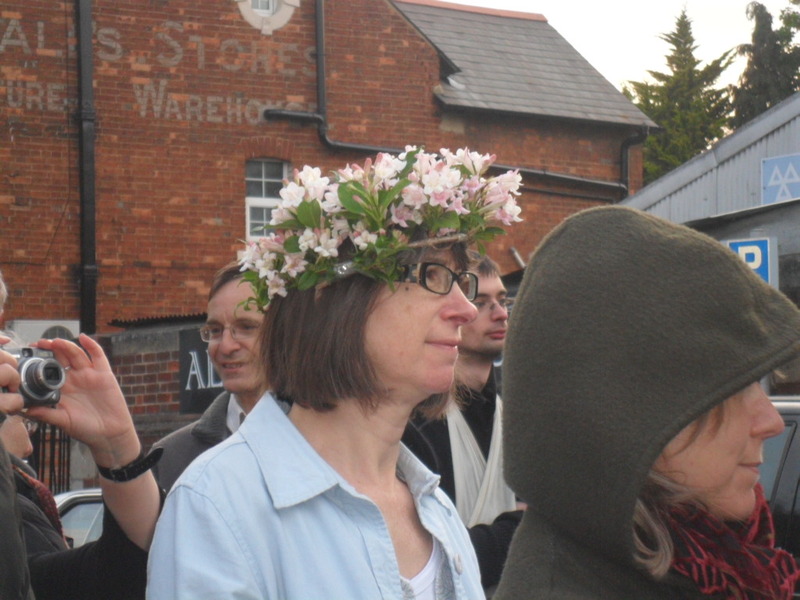 And when it comes to hats, who needs Philip Treacy when you have your own back garden? We had two Morris troupes this morning. Headington Quarry – staid, elderly and very dull – and Eynsham. 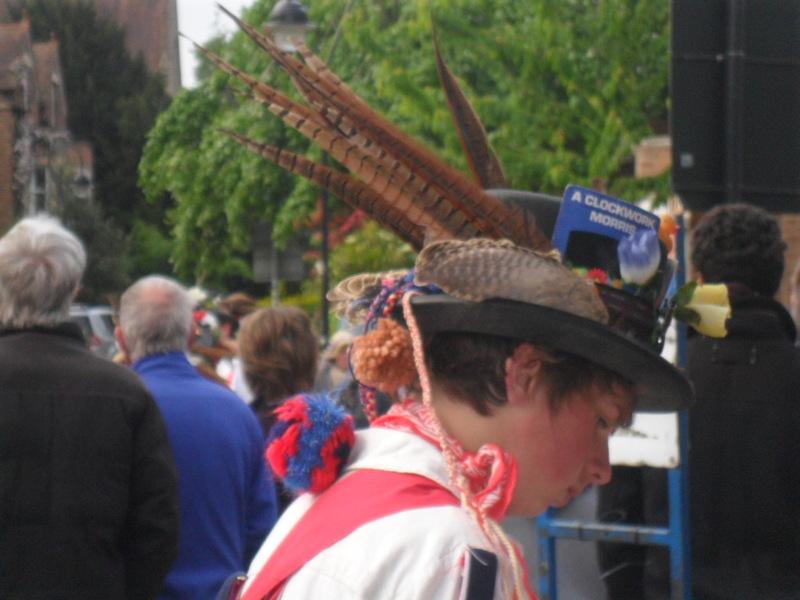 Eynsham Morris rocks! 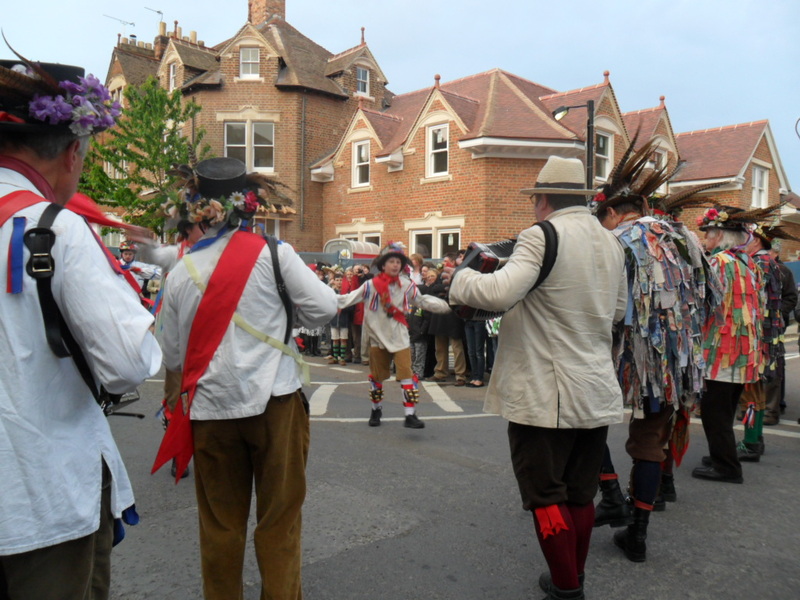 Three squeeze boxes, two drums and a tambourine, and a troupe including four lads, they took us back beyond Cecil Sharpe to some genuinely boisterous peasant dancing. The pub was open but instead of bacon butties there was kedgeree, smoked salmon and other high-priced stuff which we decided against. By 7am the air was inflammable with the fumes of beer and we left them all to it to come back home to our breakfast of choice. Is life going to seem a little dull from now on? As we left the pub, I paused to look at the bunting and flags and the tables crowded with happy people. It’s been quite a party. If anyone wants to know what it takes to cheer up the Brits, it’s three day weeks and lots of sunshine. And a bit of pageantry helps.